SciFinder is the most comprehensive bibliographic database for scholarly research in the field of chemistry. It contains over 47 million citations and indexes over 50,000 journals, covering all aspects of chemistry, including chemical aspects of: biology and life sciences, engineering and materials science, food science, geology, medicine, physics, and polymer science. SciFinder also allows searching of chemical substances, chemical reactions, and includes some property data and spectra. It is the online version of Chemical Abstracts. 1. Go to the UC SciFinder website, under “New User?” select Davis (UCD). 2. Review the instructions for creating a username/password, click the registration link at end of the page. You must register with your “ucdavis.edu” email account. 3. When you receive a confirmation email, click the link in the message to complete the registration. Check your spam folder if you do not see the confirmation email in your inbox. 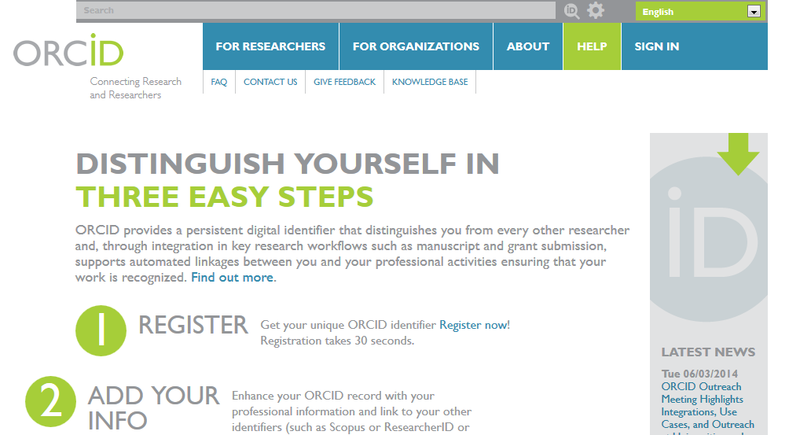 Once you have an account, logon to SciFinder. First, log in thru the VPN, then complete steps 1-3 above. Use Web of Science to find scholarly articles in all disciplines, including chemistry. This database can also be used to identify articles that cite an author or article that you specify. Cited Reference Searching: 1900 – present (allows you to identify who is citing an article). HOW? : Sign-in to WOS. Run Search. Click: SEARCH HISTORY (top left). Click: SAVE HISTORY/CREATE ALERT. Name it, specify alert frequency & format, save it. PubMed indexes the medical literature, including medicine, nursing, dentistry, veterinary medicine, and preclinical sciences. It contains over 20 million citations and indexes over 8,400 journals. PubMed is produced by the National Library of Medicine. Articles from popular magazines and scholarly journals for the humanities, social sciences, physical and biological sciences, engineering, business and interdisciplinary fields, with over 5,500 full-text periodicals. Also includes indexing for some newspapers, books and primary sources. Printed indexes of Chemical Abstracts (1907-2001) are located in the Physical Sciences & Engineering Library Reference area (first floor). Theo Hahn; U. Shmueli; A. J. C. Wilson (editors). 1984-2012. Dordrecht, Holland; Boston, U.S.A. Kluwer Academic Publishers Group, most current volumes available through Wiley. A collection of major chemisty reference books. Search each title individually, or select “Combined Chemical Dictionary” to search the 5 “Dictionary of…” titles simultaneously. Includes important physical and chemical property data from across the spectrum of chemistry and physics. It is freely available from the UK’s National Physical Laboratory. An encyclopedia of chemicals, drugs, and biological substances. The Merck Index contains over 11,000 entries (referred to as monographs) mostly for single substances and related compounds (isomers, salts, etc.). Some families of natural products and biological substances are included as well. Data provided include: chemical, generic, and brand names; CAS (Chemical Abstracts Service) registry numbers; physical data and literature references; structures and stereochemistry; toxicity; and information on therapeutic and non-medicinal uses. The Merck Index Online also includes sections on: organic name reactions, and additional tables. The Merck Index can be searched by structure with installation of a free ChemDraw plug-in available on the structure search page. Provides property, structure and reaction data for millions of chemical substances (organic, inorganic and organometallic) and chemical reactions. Up to hundreds of fields of chemical and physical property information are available. Reaxys combines the Beilstein Handbook of Organic Chemistry, the Gmelin Handbook of Inorganic and Organometallic Chemistry and the Elsevier Patent Chemistry Database. It is searchable by text keywords, numerical physical and chemical properties, and by chemical structures and substructures. New version of Reaxys (Reaxys 2.0) launched Nov 6, 2017 at UC Davis. In addition to being the most comprehensive bibliographic database for chemistry, SciFinder also allows searching of chemical substances, chemical reactions, and includes some property data and spectra. The web version of Cambridge Structural Database (CSD) provides crystallographic, chemical and bibliographic information for more than 544,000 organic and organometallic compounds whose 3D structures have been determined by x-ray or neutron diffraction (nearly 600,000 structures). Provides thermochemical data for over 6500 organic and small inorganic compounds. Data available may include: gas phase and condensed phase thermochemistry data, reaction thermochemistry data, phase change data, spectra (IR, Mass, UV), Henry’s Law data, gas phase ion energetics data, ion clustering data, vibrational and/or electronic energy levels, gas phase kinetics, and thermophysical properties of fluid systems. Another source from the National Insititute of Standards and Technology. Categories include Physical Constants, Units, and Conversion Factors, Atomic Spectroscopic Data, Molecular Spectroscopic Data, and X-Ray and Gamma-Ray Data. Common physical and chemical data. The Library does not have a license for SpringerMaterials. We do have online access to the predecessor to SpringerMaterials, Landolt-Börnstein for 2009 and earlier. In most cases, you can access the 2009 and earlier information in our online volumes of Landolt-Börnstein. For the more recent content added to SpringerMaterials, you’ll need to refer to one or more of the alternate sources listed below. Each record in SpringerMaterials has a source. If the source of the document you need is Landolt-Börnstein and from 2009 or earlier, you can get the PDF through Portico. From SpringerMaterials, note the title of the document and volume in Landolt. Browse the alphabetical list of volumes in Portico, then that volume’s table of contents to find your document PDF. Here’s a handout (PDF) with some screenshots from both databases. At present, the volumes are listed alphabetically by their English titles, but eventually will be grouped into subject sections for easier browsing. SciFinder and REAXYS (any articles referenced in SpringerMaterials will also be indexed in SciFinder, and possibly Reaxys). Landolt-Börnstein is a vast and systematic collection of physical and chemcal properties of materials. The verified physical data available reflect numerical data and functional relationships in physics, physical chemistry, biophysics, geophysics, astronomy, materials science, and technology. Earlier volumes (to the 1980’s) are in German. Thanks to Teri Vogel (UCSD) and Chuck Huber (UCSB): text on their pages used above. Identify the type of compound and properties you are looking for, and ThermoDex will return a list of handbooks that may contain these data. This resource was developed for use at the University of Texas, Austin, links are provided to identify library holdings in your area – or use the Library Catalog to look for the handbooks identified. With many thanks to the University of Texas Libraries. Finding sources for bulk chemical pricing and market data can be quite difficult. In many cases these data simply may not be available. Use these guides to search for available information. A comprehensive database on fully determined inorganic crystal structures with structural and bibliographic data. Searchable database of more than 93,000 inorganic structures, including pure elements, minerals, metals, and intermetallic compounds. Search by fields such as element(s), citation information (author/journal/title/years), chemical/mineral name, crystal system, space group, minimum distance, cell size/mass, and Pearson Symbol. Print copy: use the index to locate substance by name, or CAS number. Data available include: basic properties, toxicity (generally includes LD50 data), safety profile, and regulatory information. Use the index to locate substance by name, formula, CAS number, Aldrich catalog number, Sigma product number. Data available include: toxicity, health hazards, chronic effects, first aid, incompatibility, decomposition products, basic properties. Safety Data Sheets provide information on how chemical substances can be safely handled, stored, and used. They generally indicate health, material, and physical hazards; exposure limits; and precautions. Use your UC Davis credentials to log on. Search for SDS by CAS#, substance name, or manufacturer name. Use search box in top right to search for SDS by CAS#, substance name, or manufacturer name. Freely available, no log in necessary. A cluster of databases on toxicology, hazardous chemicals, and related areas. Includes: Hazardous Substances Data Bank (good source for LD50 data), Integrated Risk Information System, Chemical Carcinogenesis Research Information System, GENE-TOX, TOXLINE, Toxics Release Inventory, CHEMIDplus among others. Contains information on drugs from a health care/clinicians perspective. Toxicology information available includes: range of toxicity, treatment overview, clinicial effects, mechanism of action (pharmacokinetics), and references. PSE Library has a large collection of print spectra. Frequently used titles are listed below, additional titles are available as well (browse the PSE reference shelves in the call number range QC437.A29 through QD421.H68 or search the Library catalog). An easy to use collection of over 60,000 spectra. Indexes: are located in the back of each multi-volume set. A very large collection of over 200,000 spectra. Largest Sadtler Sets Are Listed Above. Many smaller sets are available in the PSE Reference Area. Below are some freely available sites that provide a limited number of spectra online. See the print spectra listed above if the substance you are looking for is not available online. The NIST database provides spectra and other information. Most compounds in the database are organic, a few small inorganic compounds are included as well. Spectra available may include: Gas Phase IR Spectra, Mass Spectra, UV/Vis Spectra, Vibrational and Electronic Spectra (tabular data only). Provides spectra for 32,000 organic compounds. Up to 6 different types of spectra may be available: electron impact Mass spectrum (EI-MS – 22,900 spectra); Fourier transform infrared spectrum (FT-IR – 14,000 spectra); 1 H nuclear magnetic resonance (NMR) spectrum (12,300); 13 C NMR spectrum (49,800 spectra); laser Raman spectrum (3,500 spectra); and electron spin resonance (ESR) spectrum (2,500 spectra). The SciFinder and REAXYS databases can be used to locate references to spectra and/or spectral data in the chemical literature. SciFinder provides online access to some spectra, REAXYX provides literature references only. The REAXYS database can be used to locate spectra. Ask at the PSE Reference Desk if you need help. One time registration is required to use SciFinder (available only to UC faculty, students, & staff). To find spectra in SciFinder: Search for a chemical substance record, click the “Get References” button and limit to references associated with “Spectral Properties”. Help: Pop-up blockers must be disabled to use Science of Synthesis. Structure searching requires either Java applet capability, or the presence of ChemDraw or ISIS/Draw on the user’s computer. Organic Syntheses provides reliable, detailed methods for the preparation of organic compounds. Methods have been evaluated for reproducibility in the laboratory. Some procedures describe practical methods for the preparation of specific compounds; others illustrate important synthetic methods with general utility. Online version: is freely available to the public and contains the contents of the entire series, up to one year before the present, searchable by chemical name, CAS Registry Number, other text terms, and by structure or substructure. Requires a Java-capable browser. Print version: Collective volumes include revised and updated syntheses from annual volumes. There is a cumulative index for the first eight collective volumes. Provides detailed, tested methods for the synthesis of inorganic and organometallic compounds including boranes, synthetic metals, ceramic superconductors, etc. Includes reaction yields and safety information. Online version: is keyword searchable across the entire series; chapters may be displayed and printed as PDFs. Print version: has no collective volumes, but there is a collective index to volumes 1-30; and indexes cumulate every 5 volumes. If you have publications indexed by SCOPUS, you have automatically been assigned a SCOPUS author ID number. You can check this by going SCOPUS and entering your information. Citation formats and editorial guidelines for IEEE Transactions, Journals, and Letters. Includes abbreviations for IEEE publications. ChemBioDraw (also known as ChemDraw) is available to UC Davis students, faculty, and staff via MyUCDavis, not through the library website.